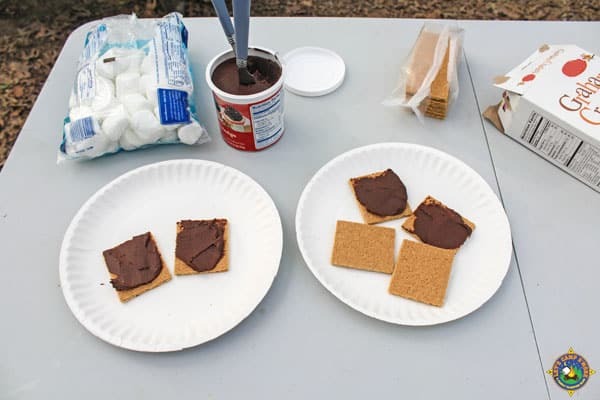 Create frosting s’mores with a can of chocolate fudge frosting instead of a chocolate bar. I have to admit. I am not a big fan of s’mores. It’s probably because I don’t like biting into hard chocolate and have the s’more break in my hand. I get around this problem by using canned frosting instead of chocolate bars. It reminds me of those late night college study sessions when we gobbled down graham crackers smeared with vanilla frosting. 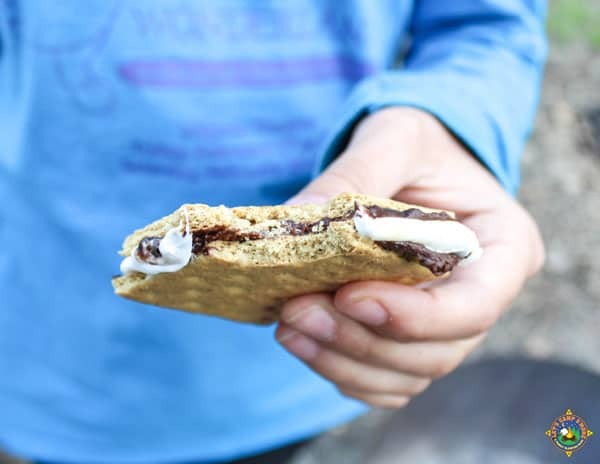 These frosting s’mores make a perfect campfire treat every time! Break a graham cracker in half and add frosting to one half. Add frosting to both sides if you want. Roast a marshmallow or two to your desired level of doneness. 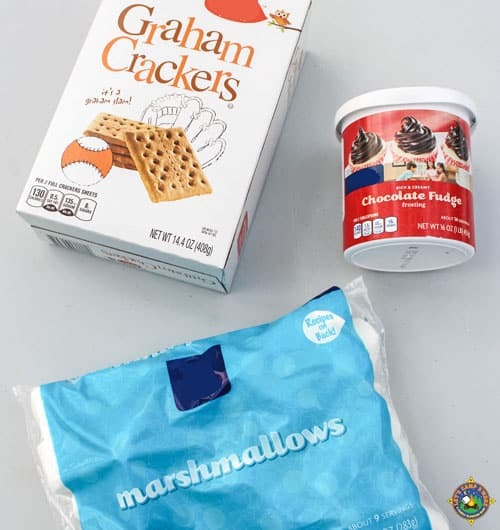 Place the marshmallows between the two halves of graham cracker. Doesn’t that look good? The kids really enjoyed them! I like how these frosting s’mores don’t fall apart when you take a bite. 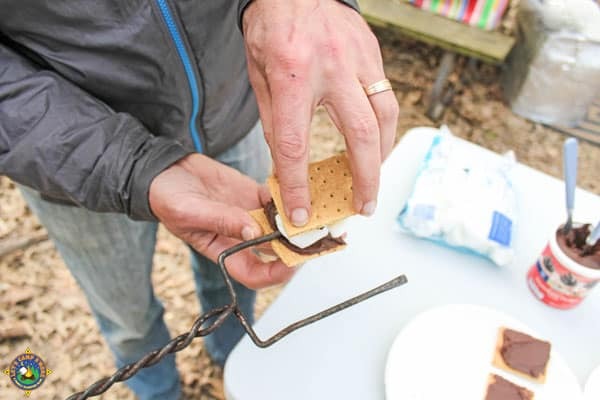 Are you going to try these on your next camping trip? 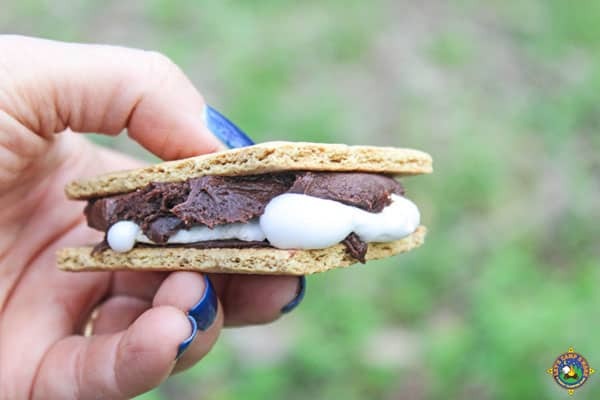 Create this perfectly melted s'more on your next camping trip. Roast a marshmallow or two to your desired level of done-ness. 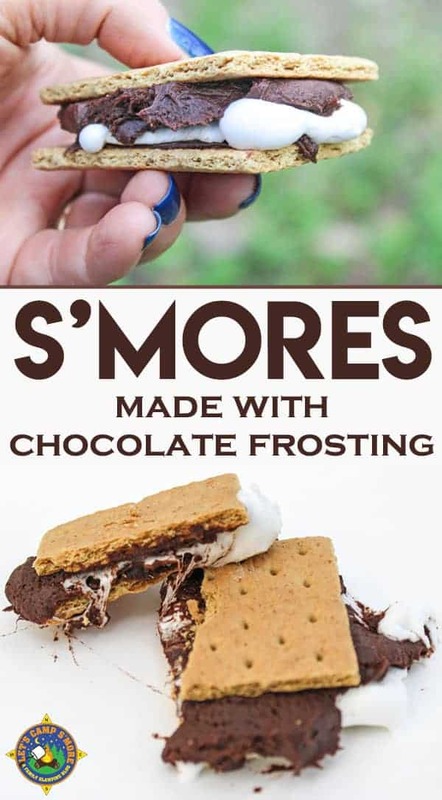 I can’t wait to give your Frosting S’mores a try, this is a great idea! Hope you are having a great week and thanks so much for sharing your awesome post with us at Full Plate Thursday! They are so much easier!